The UN and many international agencies have embraced the potential roles and benefits of the dramatic information and communication technology (ICT) advances, global hyper-connectivity, and the deployment of various types of sensing devices and big data analytics to set an ambitious goal of enabling smart sustainable cities for all. However, rapid urbanisation, increasing inequality, and the changing risk landscape at both global and local levels can impede achieving such a future from the current state of affairs. Continuing a business-as-usual trend means inefficient services and high-impact damage potential in disasters in overpopulated settlements, leaving them even farther behind in various areas of development. In other words, the deployment and advanced applications of smart city technologies and know-how in developed regions could, in fact, widen the gap, between cities and communities in different regions of the world. 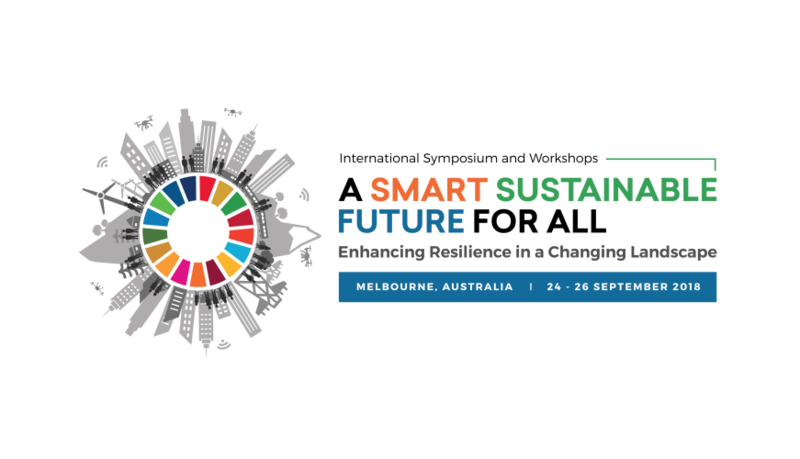 This symposium will bring together the academic and research community with frontline stakeholders in government, industry and professional bodies to explore the state of play (in knowledge and practice); identify local, national, and global challenges; and discuss recent research and innovative solutions that address all facets of achieving our common aspirations for a smart and sustainable future for all. During the symposium, we will release a major report on a research framework that links the Sustainable Development Goals (SDGs) with various facets of disaster management. The Symposium will feature invited keynote presentations, plenary panel forum and parallel technical presentations around the themes identified here. The event also includes a forum for the World Bank Project on resilience and resilience impact of land and geospatial data infrastructure for disaster risk management. Hosted by the University of Melbourne’s Centre for Spatial Data Infrastructure and Land Administration (CSDILA) and Centre for Disaster Management and Public Safety (CDMPS), and in co-partnership with The World Bank (the Global Facility for Disaster Reduction and Recovery and the Social, Urban, Rural and Resilience Global Practice). Early bird registration from $500.00, closes 13 August 2018.